The newest line of Ipanema flip-flops is here, and it’s going to make women’s lives more exciting. Made from patented super-soft Melflex plastic, the Ipanema Switch Strap is a beauty trick tailor-made for the women of today. It beautifies your feet, while providing comfort and support at the same time. 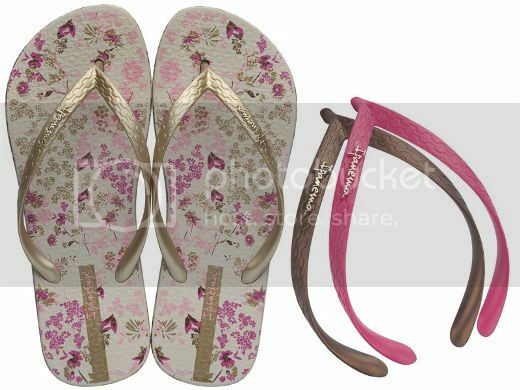 The colorful butterflies and neon hearts adorning each side of the sandals remind you of the happy disposition and spirit of Brazil. A pair of Ipanema Switch Strap comes with two additional straps, so there sure is a strap to match your mood for the day, whether you’re into something radical or just plain casual. So are you ready to switch? Visit Ipanema Philippines on Facebook and find out more about Ipanema Switch Strap. This entry was posted in Ipanema Switch Strap, Press Release. Bookmark the permalink. 4 Responses to Introducing Ipanema Switch Strap! This is so nice! I love that products are doing their best to cater tothe needs these days individuality ! This is wow! But to be honest I have never own an ipanema slippers before. I am more of a havaianas girl. But with their new designs, I think will give this a try. ay I want to have a pair!